Lucid Vision Labs is the brainchild of Rod Barman, who was the founder and president at Point Grey Research until it was bought by Flir Systems in 2016. Barman was also the head of engineering at Point Grey for 19 years until it was sold, after which he began thinking about starting a new company that would become Lucid Vision. 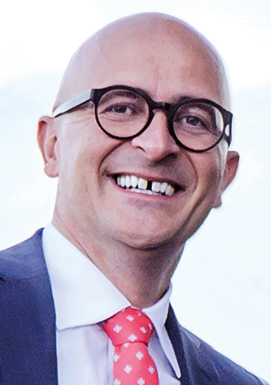 Lucid has employees from different backgrounds including former Point Grey, Sony, IDS Imaging Development Systems and other technology companies, according to Torsten Wiesinger, general manager of the EMEA region for Lucid Vision. Wiesinger served as CEO of IDS for six years and has 15 years of experience in the machine vision industry, also working for MVTec Software as sales director. Currently Lucid Vision employs around 50 people – big for a startup – but Wiesinger said this sort of size is necessary ‘to reach our ambitious goals’. Lucid Vision aims to be in the top five machine vision camera suppliers within five years, and become an established camera vendor on a global scale. The company has its headquarters in Vancouver, Canada, and has already established subsidiaries in Japan, China, Taiwan, and Germany. In terms of technology, Wiesinger points to Industry 4.0 as one of the main drivers for the company. ‘More and more, customers are saying that Industry 4.0 and the Internet of Things is the future,’ he said. Industry 4.0 refers to the fourth industrial revolution, of having much more connected manufacturing, with the idea being to track products as they pass through production and are delivered to the customer. A lot of manufacturing data will be handled in the cloud in the future, according to Wiesinger, who also has a background in IT. He said the core technology will be the Ethernet network. ‘We will build cameras that can be connected to a PC, or maybe on a network or a server farm, but we see that the standard will be Ethernet,’ he said. All three of Lucid Vision’s camera families are based on Ethernet, with the higher resolution Atlas cameras running over 5GBase-T Power over Ethernet, which has a data transfer rate of 600MB/s. The benefit of being a start-up, however, Wiesinger noted, is that the company is able to focus on the newest protocols and standards. In line with its commitment to Industry 4.0, it plans to support OPC UA, the standard devised by the OPC Foundation to allow factory machines to talk to each other. Lucid Vision has also included a web server in its standard machine vision cameras, which is the basis for its ideas for Industry 4.0, Wiesinger added. The company’s first two camera families, Phoenix and Triton, offer resolutions from 0.4 megapixels to 20 megapixels, and both have a version based on Sony’s sensor for detecting polarised light. The Phoenix cameras are the smallest GigE camera on the market at the moment, according to Wiesinger, measuring 24 x 24mm and available with an NF-mount lens for further space saving. They are supplied with an ix industrial Ethernet connector and are transformable, so can be stacked or folded to present the Ethernet port at different angles to the lens to fit different applications. The Triton cameras are equipped with M12 and M8 connectors, and can be upgraded to IP67 protection with a lens tube. Meanwhile, Lucid’s Atlas series, which will be launched at the Vision show in Stuttgart, will be the first 5GigE PoE camera, starting with a 31 megapixel Sony Pregius IMX342 sensor. Both Triton and Atlas cameras have active sensor alignment to minimise the image sensor tilt and rotation, and to place the centre of the image sensor at the lens optical axis. With three subsidiaries in Asia – Japan, China and Taiwan – Lucid Vision considers the region an important one for machine vision. ‘In Asia, and in China especially, there is a huge demand for automation,’ Wiesinger remarked, adding that Asian manufacturers are more willing to try new technologies and that being connected within a production environment is key. Other countries, like Germany, are a bit more conservative and the adoption of new technologies is typically not as fast, he remarked. 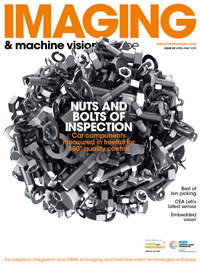 While costs of cameras are coming down in the machine vision market – Wiesinger made the point that the growth seen over the last year in industrial vision has meant camera makers can lower their prices and still generate revenue – there will come a time when prices won’t drop any further. ‘I don’t believe we’ll see a €15 camera in industrial vision, because we still have to produce quality – and quality costs money,’ he said. He added that the long-term availability of products is important in the machine vision sector, and that making products reliable over long periods of time costs money. Price models that are too cheap won’t work in the machine vision industry, Wiesinger said; nor will cameras that are too expensive. One concern Wiesinger has with the machine vision market is the lack of fresh blood entering the industry. ‘So far, we have observed that a general market consolidation is taking place; camera manufacturers are being sold, restructured, or they have been doing the same things for years. The industry needs fresh ideas with new people, which is what we want to generate,’ Wiesinger remarked. Looking ahead, Wiesinger sees demand for faster frame rates and higher resolution in camera development, along with the use of multiple wavelengths – SWIR, UV, multispectral, polarisation – and 3D. He also suggested that deep learning will become more widely available in machine vision in the years ahead. He concluded by saying that the production IT network will move in the same direction as IT outside the factory, namely with processing distributed in the cloud, as well as on edge devices. Machine vision is set to play an important role in these networked factories.